What a great January window this has been. Luke Hendrie signed permantly and Elliot Embleton on loan for the rest of the season. Then two international signings in Sebastian Ring and Ludvig Öhman from Sweden being them cherries on top. I got a suspicion that Jolley might would had signed other Swedes by now if he had other targets. But as I still get requests to my twitter handle @grimjos from Grimbarians about any new rumours I might as well put together a list with potential targets. There is nothing into these names being linked to Grimsby, but most of them have recently been linked with clubs abroad in Swedish media. Here we go. Click on their names for wiki pages. Sasa Matic is out of contract with AFC Eskilstuna. Played quite a bit during Jolleys time in Sweden, but struggled with an injury last season. Offensive midfielder that scored AFC’ first goal in Allsvenskan ever. Norwegian Niklas Gunnarsson has got interest from clubs abroad including UK according to Swedish media. Djurgården’s right back is out of contract. Won the Scottish Cup for Hibs in 2016. One cap for Norway. I know there was connection between Jolley and Niklas agent with former target Eero Markkanen. Swede Viktor Prodell is another out of contract player being linked abroad. 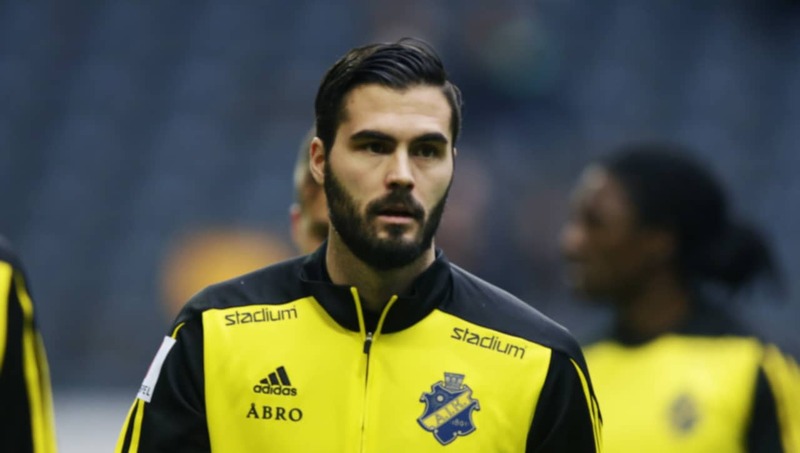 The Swedish striker last seen in Elfsborg admit interest from other countries, but won’t namedrop leagues. Tall and an eye for goal, played in Belgium earlier. UPDATE: Signed for Örebro 24.01. Denni Avdic is another Swedish striker out of contract. Heavily linked with Örebro, but after they signed Prodell could he still be available? Could be the target man we are looking for, but his goal scoring record isn’t amazing. Bajram Ajeti left AFC Eskilstuna after their promotion this winter. Norwegian striker aged 29 that left Brommapojkarna in the summer. Admitted interest from abroad to fotbollskanalen.se. Not had a connection with Jolley previously, but former team mate with Ludvig Öhman. UPDATE: Signed for Turkish club Afjet Afyonspor. Brommapojkarnas reports that there is concret interest in Jack Lahne from foreign clubs. The super talent is only 17 years old and got a contract until 2020. Have earlier got a price tag at around £500 000, that will be too expensive. But they could may push down the price by giving a major sell on fee percentage and look at him as an investment? Wolves and Boro have earlier scouted him. Forward Astrit Ajdarevic is out of contract with his club AEK Athen. A good mate of Jordan Cook, but there will be massive interest for him in Sweden and his wages will be high. Been in Charlton, Hereford and Leicester earlier.